This entry was posted	on Thursday, December 13th, 2012 at 1:09 am	and filed under • The bush, Fauna and tagged with Birdlife, Local, Wildlife. You can follow any responses to this entry through the RSS 2.0 feed. Wow, Glen – what have you got in that dam? It looks like a queue outside a really great restaurant! I did put some Golden Perch in it last year – I doubt there will be many left………. Great. 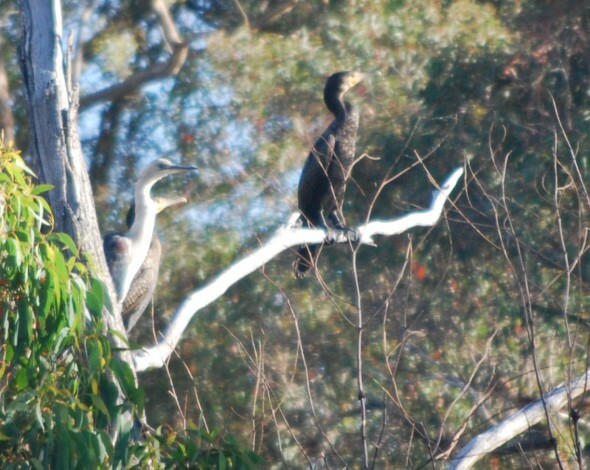 Is that a white-faced Heron? 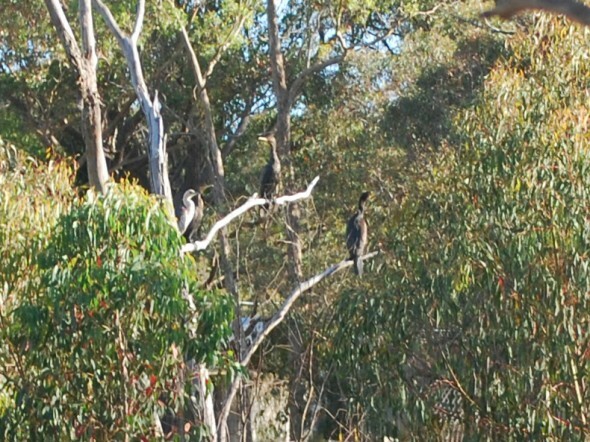 I have just seen a White-necked Heron: apparently only occasionally seen in box-ironbark country and most often further north. Is it the dry spring that is bringing these birds closer to our water? I am thinking this is a white-necked heron – the white-faced heron is mainly a lighter grey bird with white around the eyes and under the beak.